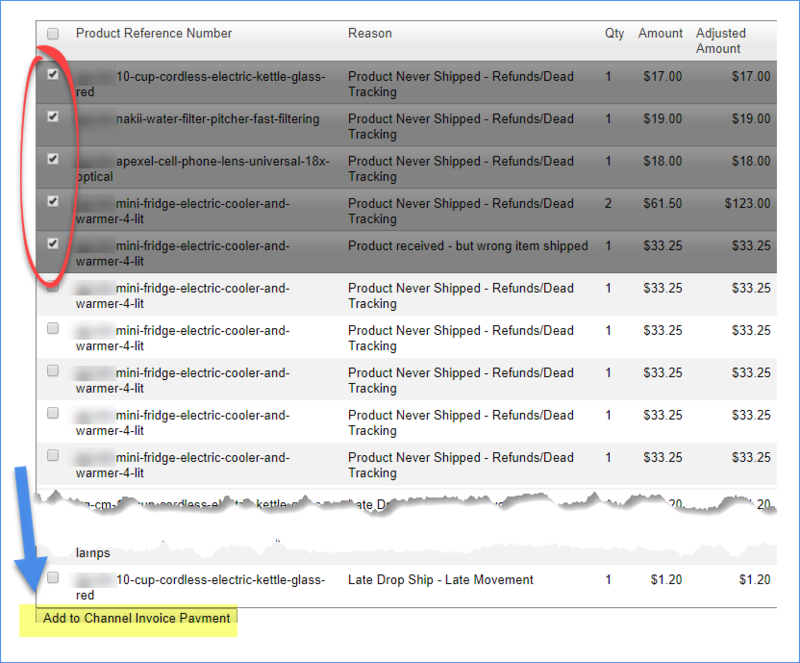 This step in the Channel Invoice workflow is only relevant for Groupon sellers. Groupon sellers are subject to various penalties, or chargebacks, on Groupon orders. Chargebacks are levied for such reasons as late movement, wrong item shipped, product never shipped, and so forth. Groupon will automatically apply the appropriate chargebacks to your Groupon orders, with those chargeback amounts shown in the Adjustments field of each order's P&L tab. However, sellers must manually apply these chargebacks to Groupon's channel invoice payments to be able to accurately reconcile their Groupon channel invoices. Prerequisite: Before you can apply a Groupon chargeback, you must import the chargebacks file that Groupon has sent to you. You will use the information in this file when you add a chargeback, as described below. Click Customers > Channel Customers > Groupon channel's Display Name > Payments. Click the Payment ID of the payment record to which to apply the chargeback. Note: All the grid columns below are sortable. On the Channel Payment page, click Add Chargebacks. Note: The Chargebacks section shown below does not appear for non-Groupon sellers. A separate window opens with the chargebacks from the Groupon file you had imported to SellerCloud. 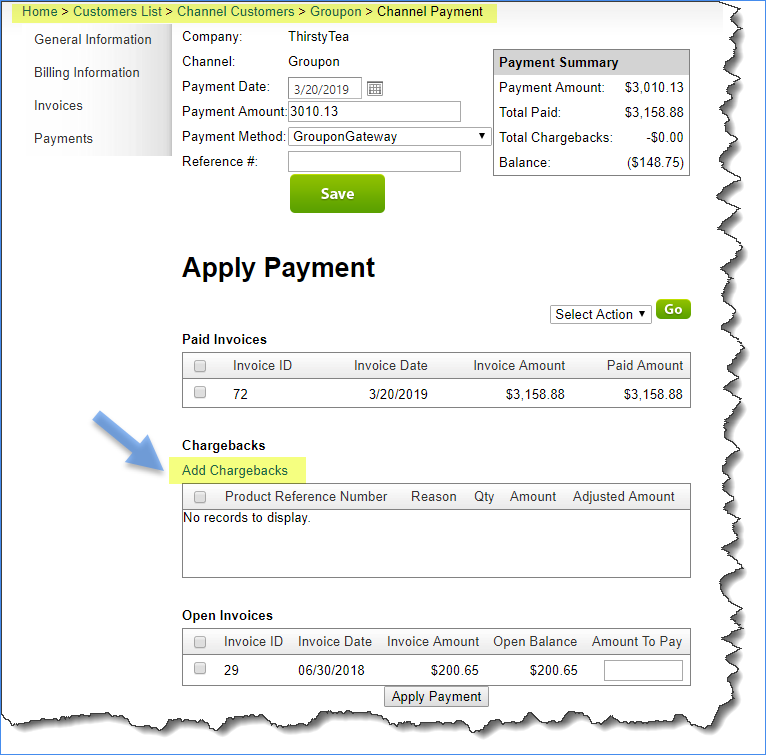 Select the chargeback(s), then click Add to Channel Invoice Payment. 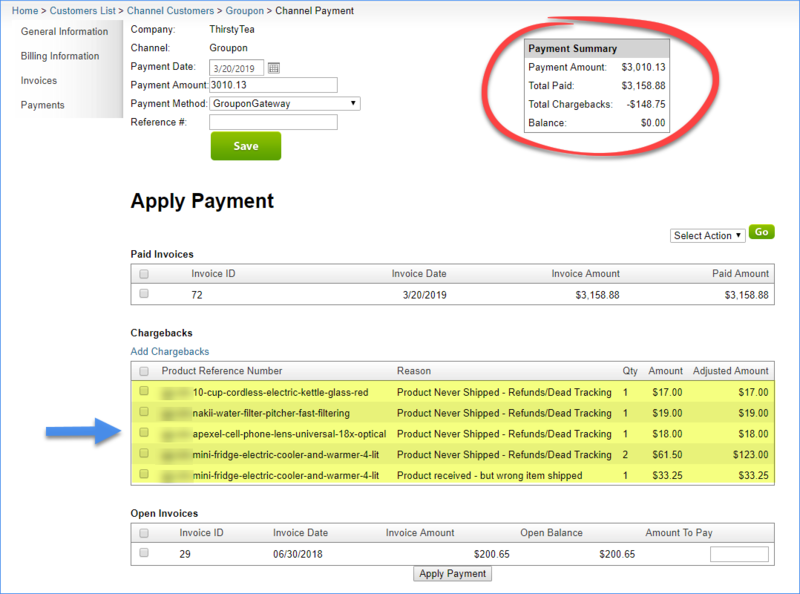 Note: After you add a selected chargeback to a channel invoice payment, that chargeback will not reappear in this window. The chargeback appears in the Payment Summary and in the chargebacks grid. Verify that the correct chargebacks were applied by checking the Payment Summary and comparing that amount against your Groupon payment remittance.